Luxury social media consultant Cannon Hodge will be joining us at Fashion PR Con: NY taking place October 17-18. With more than ten years working in luxury retail, Cannon created Bergdorf Goodman's social media program, expanding its reach to fourteen platforms and an audience exceeding four million followers. Following her time at Bergdorf, she initiated social media at Spring. She is now a consultant for luxury brands. Cannon has been a guest speaker at Fashion PR Con before, and we learned so much from her that we had to have her come back a second time! Don't miss invaluable information from Cannon. Register now for our October workshop! Save $100 if you purchase before September 11. Alyssa Coscarelli is a fashion market writer at Refinery29. She is a graduate of LIM College in Manhattan, and can be found brunching and taking Instagram photos on the weekends. Alyssa will be speaking with our group on October 17-18 in NY about pitching do's and don't's and how to make an editor love you. You can follow @r29fashion on Instagram for the latest in all things Refinery29 Fashion, or follow all of Alyssa's city eats and adventures at her personal Instagram, @alyssainthecity. Register for Fashion PR Con: NY and get $100 off until September 11 (one more week)! Since navigating an internship can be just as tricky as landing one, we’ve compiled a list of do’s and don’ts that can keep you on the right track. Stick with us kid, and you just might land a job post-graduation. Ask Questions – ask as many questions as you need to. It is better to get the job done right, than to do a poor job because your pride got in the way. If you don’t know how to do something, say so. Anticipate The Needs of Your Supervisor – if they seem stressed, ask what you can do to help. Remember, it is about what you can do for them, not what they can do for you. Leave Before Your Boss – you don’t want to seem so eager to escape your desk that they think you hate your internship. The desk is not a ball and chain, so don’t treat it like one! Wait to be dismissed for the day. Get Discouraged – you may send one hundred pitches before you even get a response. Don’t let this slow you down or affect your confidence. Relationships with media are very hard to create, but once you do, you can cultivate it. Have patience, grass hopper. Hesitate To Let Them Know What You Want – if you are interested in helping at an event, say so. If you want to expand on your experience and work on a different project or client, tell your supervisor. You may land opportunities that would have remained closed to you, had you remained silent. There you have it – a short list of do’s and don’ts that can help you navigate the tricky world of internship relations. If you have any other tips or tricks, let us know on Twitter @FashionPRCon, we’d love to hear from you! Another workshop has come and gone, and we had such a blast! Seeing all of our attendees diligently typing notes, and engaging with our awesome guest speakers made our hearts melt, and so did their kind words at the end of the workshop. Hearing how much everyone loved their experience and how much they learned makes this all worth it. Can you believe this is our sixth workshop?! Pink Olive gave us these gorgeous little cards to brighten up the day! It's a nice little motivational message to remember. This Jasmine Body Oil from Herbivore Botanicals, makes the skin feel so smooth! Seriously, I didn't know what hydration was until this body oil showed me what's what. If you catch me smelling my forearm on the train, it's because I'm addicted to this Jasmine scent. This Is Ground gave us these cute leather cord tacos to keep our cords organized. Every PR girl needs this! I can't tell you how many tangled headphones and chargers I had in my bag before these little leather organizers of joy came into my life. DAILE and Herbivore Botanicals are restoring hydration. As PR girls, sometimes we are so overworked, we slack a bit on taking care of ourselves, including hydrating our skin. But with packaging this cute and products that make our skin feel so supple, there is no way to forget this step anymore, no matter how busy we get. If you catch me smelling my forearm on the train, it's because I'm addicted to this Jasmine scent. And with DAILE, seriously, my skin has never been more moisturized, despite the winter weather! Hartland Brooklyn gave us these gorgeous house plant calendars, because duh! We need to stay organized. Oh, and they double as postcards. All we have to do is tear the dates off at the perforated line, and voila, instant stationery to brighten someone's day! We seriously think we have the best goodie bags! Just look at it! Not pictured: our custom Fashion PR Con totes. So much Malvi goodness! Our attendees scarfed these down in a matter of seconds. This is our new addiction. I've been eating one every night, and I didn't think I even liked marshmallows. *hides face* If you warm them up for 5-7 seconds in the microwave, you have an upgraded s'more. And what's a celebration without confetti? The Flair Exchange was the sprinkles on the cupcake, helping us all celebrate PR and what we learned throughout the weekend with boxes of confetti for our goodie bags! — Courtney Quinn of Color Me Courtney on better blogging practices. — Danika Daly, Founder of Fashion PR Confidential, on the benefits of networking. — Dria Murphy of Keep on what makes a good intern. — Crosby Noricks of PR Couture, on being a stellar publicist. Our polaroid wall was a huge success! It will definitely be making an appearance at our next workshop. Our networking round was full of top PR pros who were more than willing to share their industry secrets, pet peeves, and their "do's and dont's." They taught us all so much! Look, Mom - no hands! We got to know our attendees very well, including their special talents. That being said, Laura Wingfield showed us that she can balance a spoon on her nose for an infinite amount of time. Goals! Meet Your Speed-Networking Guests for Fashion PR Con: NYC! Fashion PR Con is only 4 days away and we cannot wait! We hope you are as excited as us. In the mean time, we'd like to introduce you to some of the lovely ladies who will be a part of our networking hour! We are so excited for FPRC:NY, and we hope you are too! The workshop is fast approaching - March 21-22 - and seats are filling up quickly, so grab yours while you can! We suggest you take advantage of the $75 Valentine's Day discount, available now until Feb. 18. To apply the discount, use code: VDAY75 at check out. Now, for the big news! We are thrilled to announce that social media consultant Cannon Hodge and Dria Murphy of Keep will be speaking at the NYC workshop. These women are definitely two to look forward to! With over ten years working in luxury retail, Cannon created Bergdorf Goodman’s social media program, expanding its reach to fourteen platforms and an audience exceeding four million followers. Following her time at Bergdorf, she initiated social media at Spring. She now is a consultant for luxury brands. 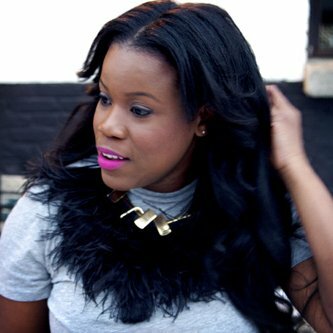 Dria Murphy, Style and Communications Director, handles all PR initiatives for Keep. She has secured press in top media outlets including Vogue, Lucky Magazine, Harper’s Bazaar, WhoWhatWear, Refinery29, HuffingtonPost Style, and Mashable, to name a few. Dria acts somewhat as “biz dev” liaison and project manager when press outreach turns into partnership programs and integration events. She has helped execute partnerships with InStyle Magazine, Kate Spade, Shop Bazaar, Dannijo, Rag and Bone, and Cynthia Rowley, to name a few. In addition, Dria curates Keep’s ‘style channels’ on the homepage and in the app. She works on choosing which products go where to ensure the site and app is stylish, on trend, and visually appealing. Prior to joining Keep, she was the Public Relations Manager at Topshop, helping the brand expand awareness in the US, working on digital campaigns for collections with Kate Bosworth and Kate Moss. Before Topshop, Dria held communications and PR roles at Ralph Lauren and Calvin Klein. Dria holds her bachelor’s degree from Santa Clara University in California.